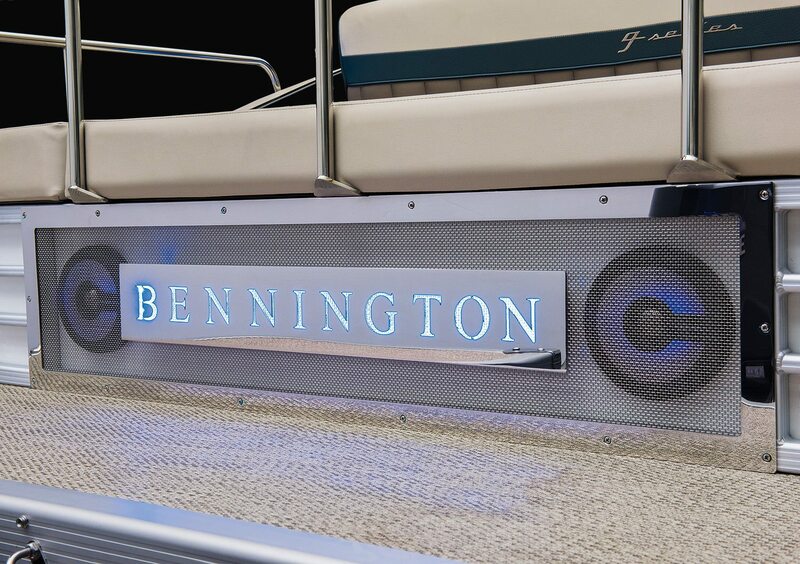 The stainless steel emblem and rear facing speakers are back-lit with Blue Ice LEDs, optional RGB Illuminated offers users 13 selectable colors. 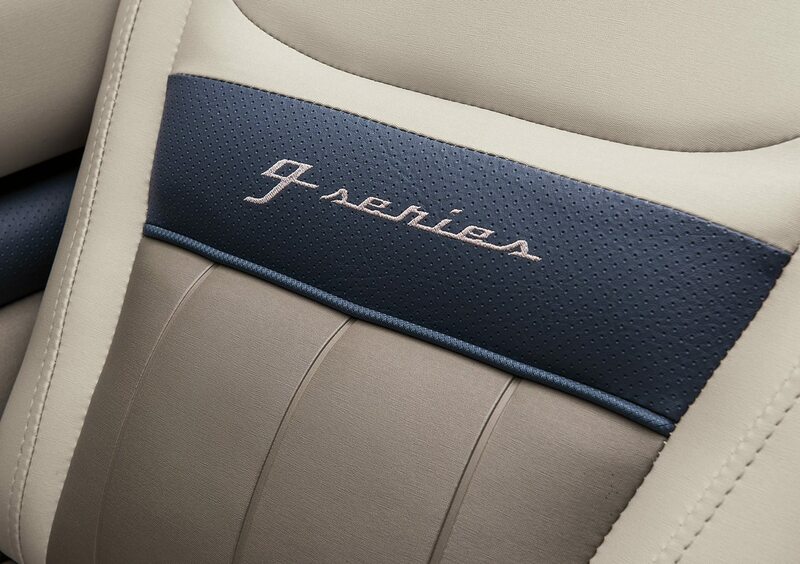 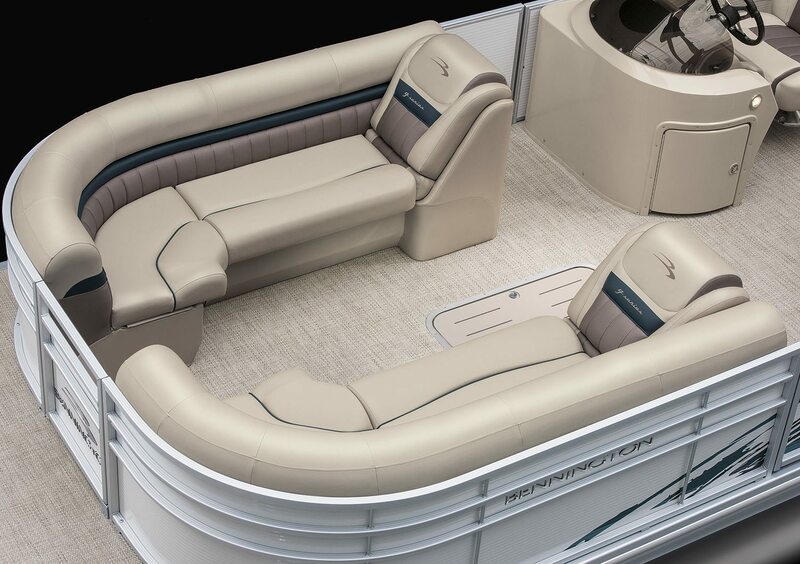 The G25 Swingback's have matching wide-berth lounges in the bow. 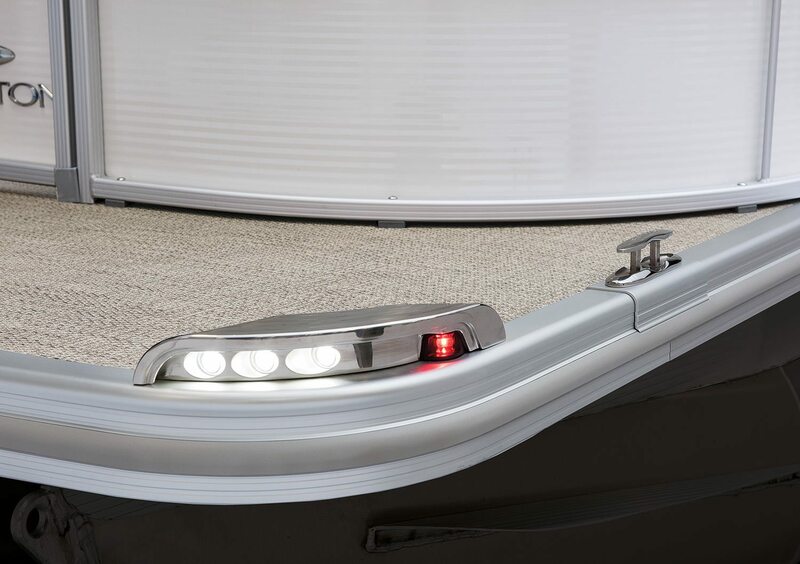 Shown with the optional in-floor storage compartment. 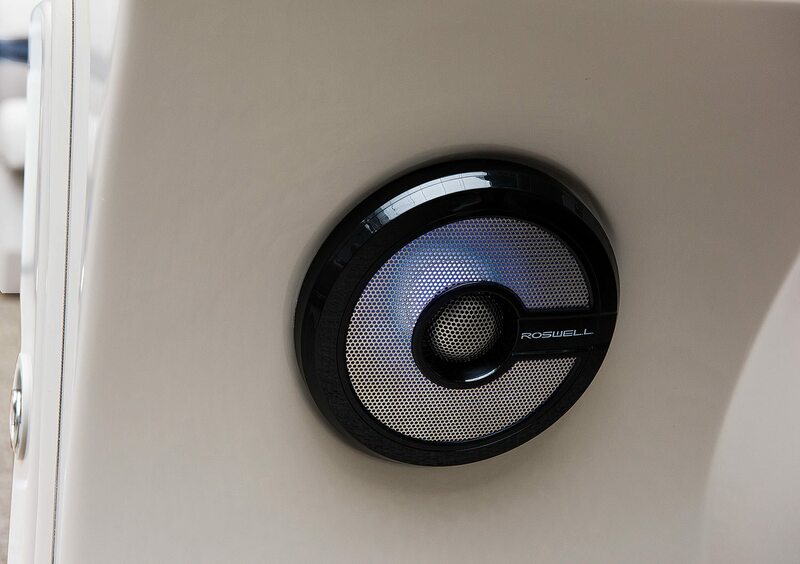 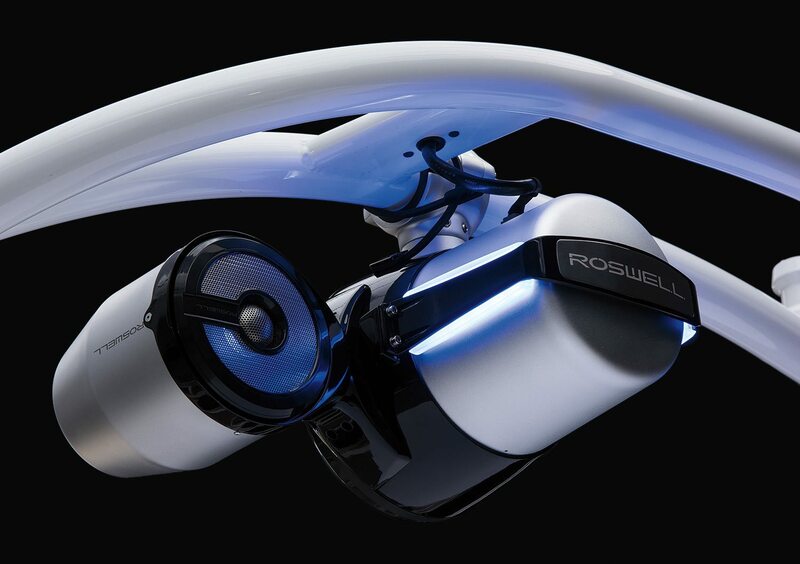 Upgrade to the Roswell speaker system with a matching sub woofer and amplifier for the best possible sound quality and clarity. 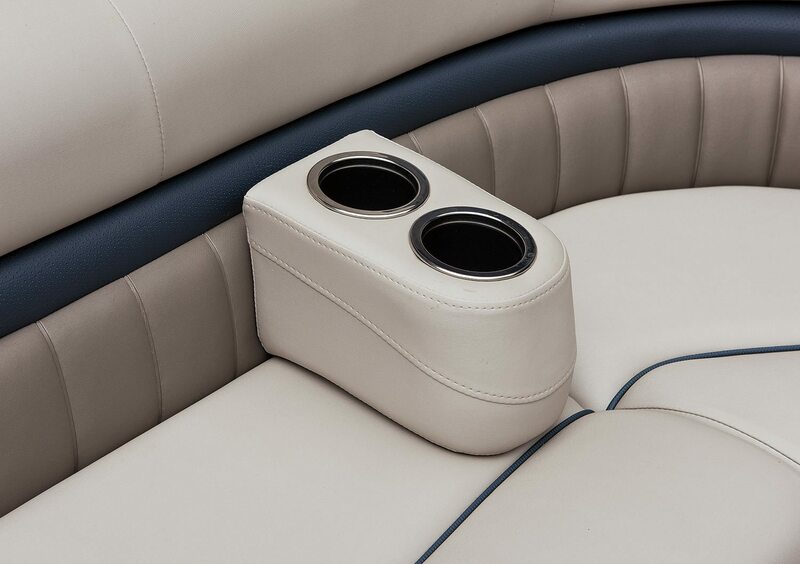 Our G-Series come standard with a set of portable cup holders. 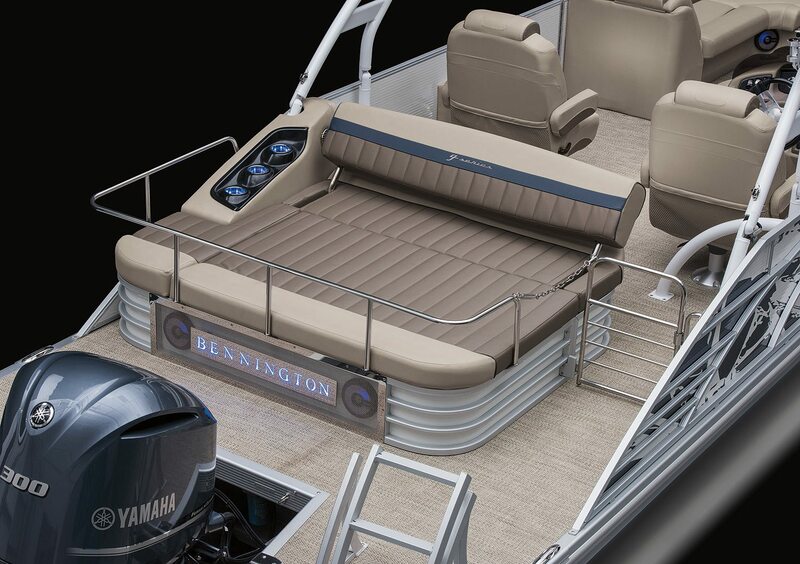 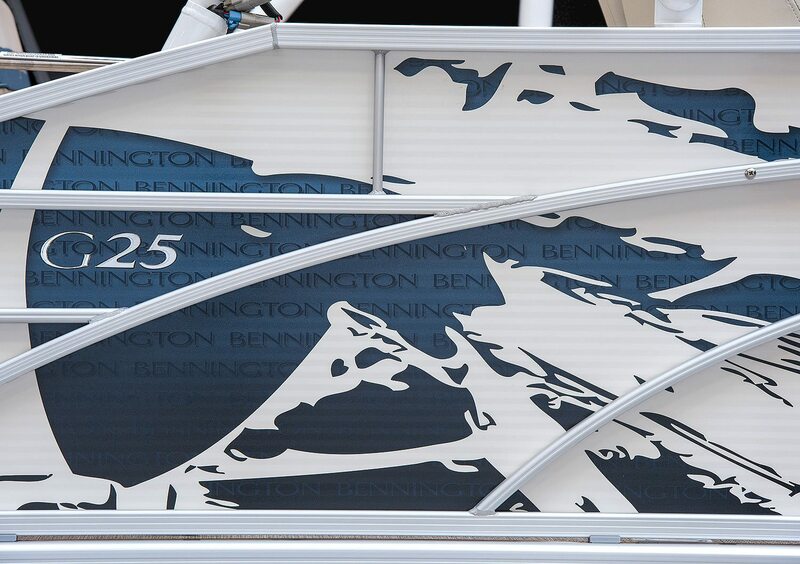 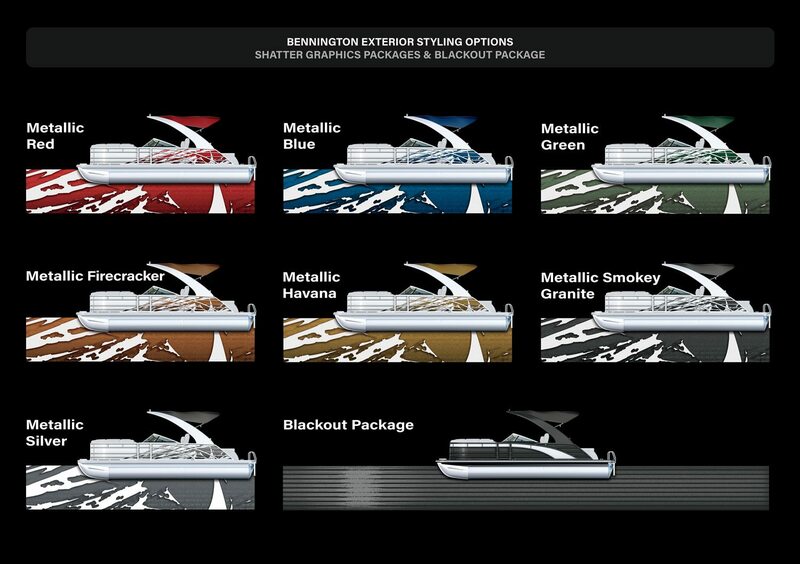 Stainless steel dockings lights and 'Bennington' engraved pop-up cleats are optional. 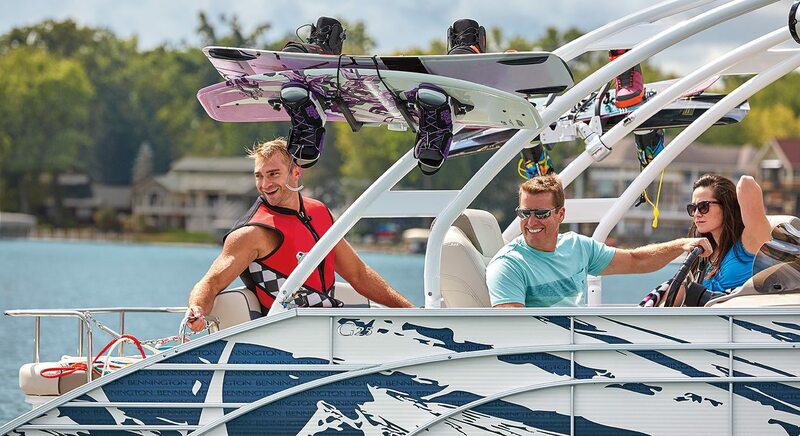 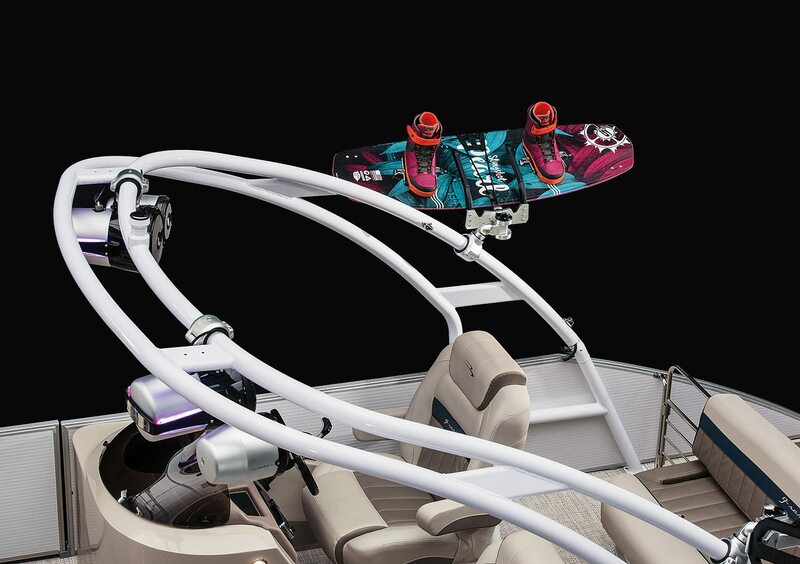 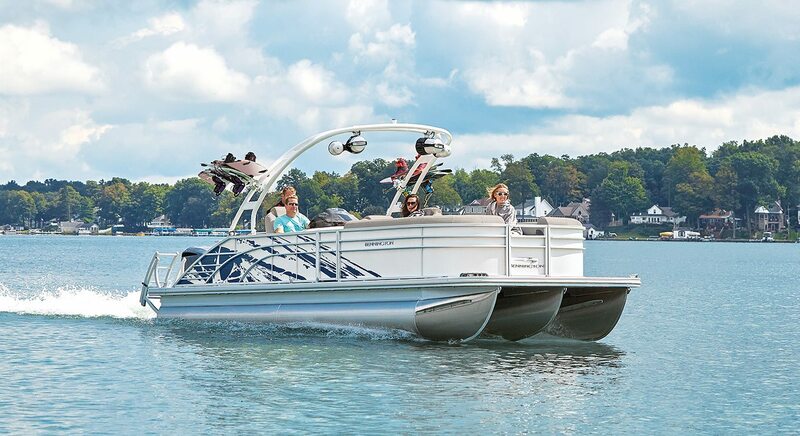 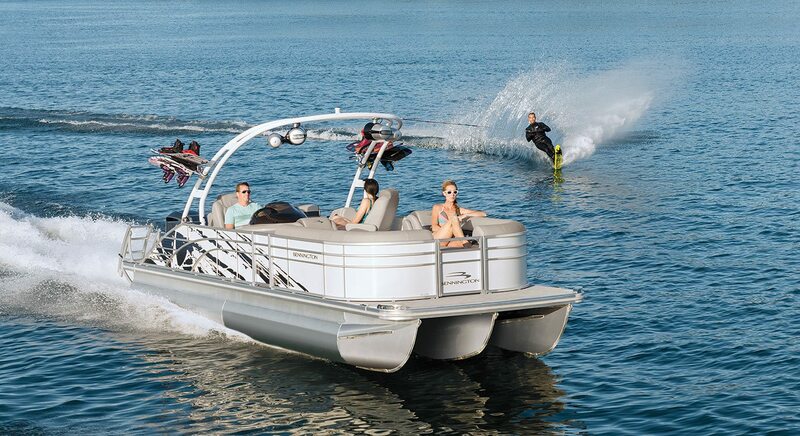 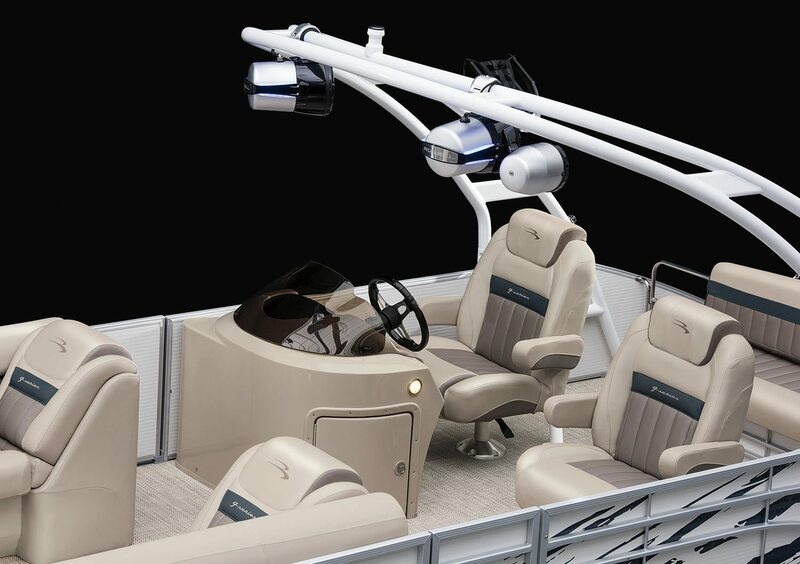 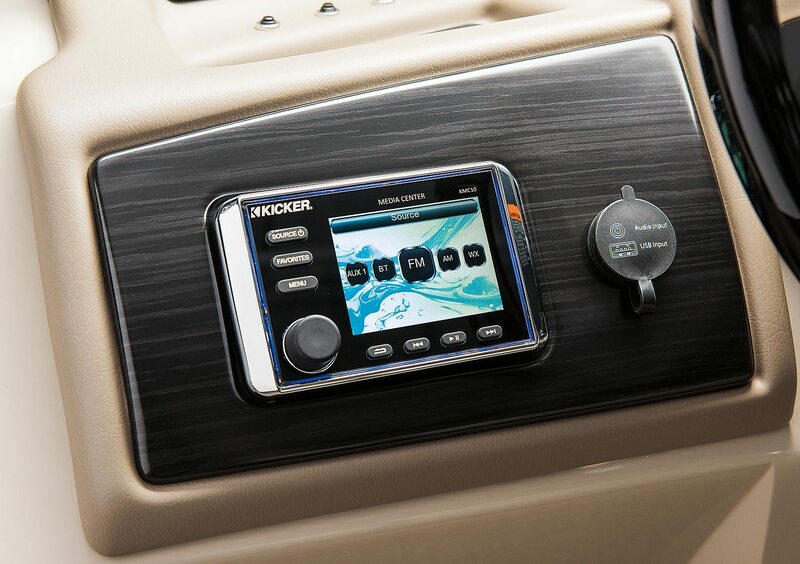 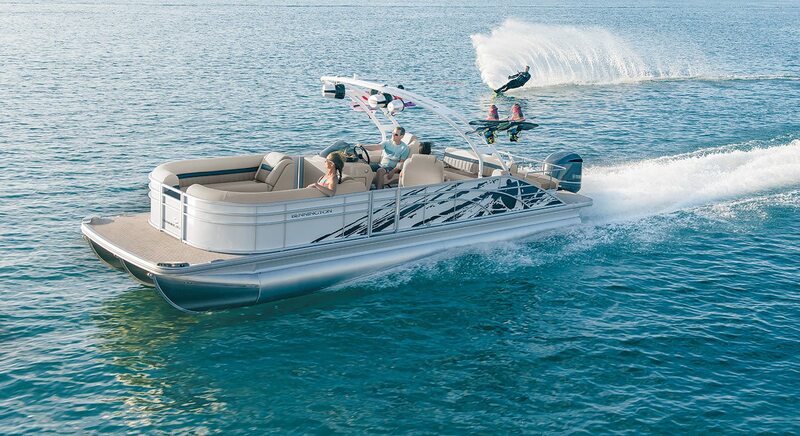 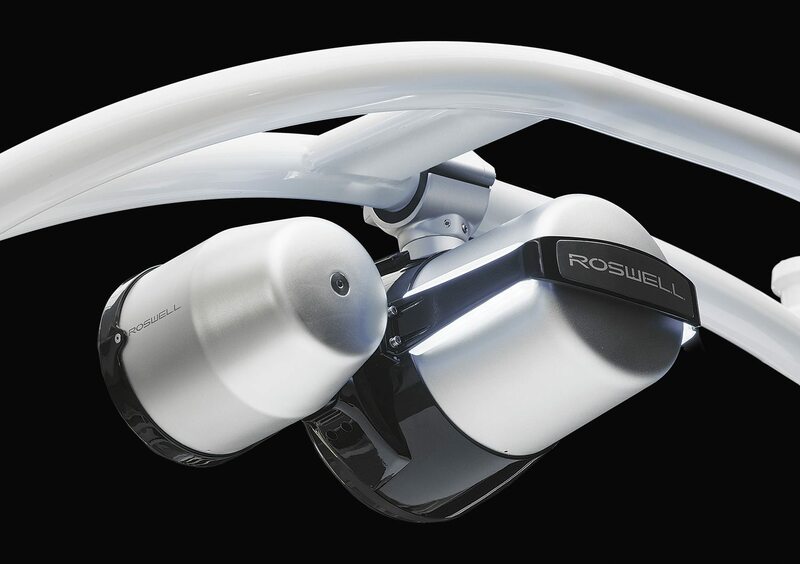 Ask your local dealer about dealer installed options like Roswell's rotating wake / kneeboard racks.